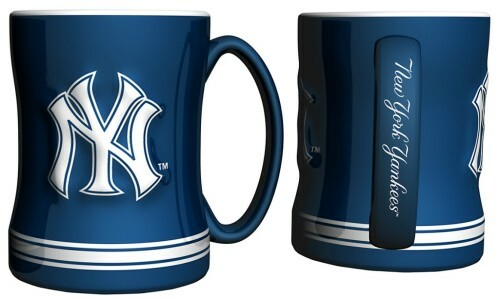 This New York Yankees sculpted coffee mug is decorated with your team?s bright and colorful graphics. The team logo is on both sides, and is slightly raised. The mug also features the team?s name on the handle and is made of ceramic. It holds 15 ounces of fluid.